Ben Collins has competed in motor racing since 1994, and his company Collins Autosport provides precision and stunt driving for film and television, including Top Gear, the James Bond films Quantum of Solace, Casino Royale, and Skyfall, and Mission Impossible: Rogue Nation. He lives in Bristol, England. "offers smart tips and information on something we take for granted." "Ben Collins helps us correct mistakes that even those of us with years of driving experience have been making. This book is a must read for any car enthusiast." "You know how to drive, but if you really want to find out how to make the most of your time behind the wheel, we'd recommend consulting with former Top Gear Stig Ben Collins and his book, 'How to Drive: Real World Instruction and Advice from Hollywood's Top Driver.' Collins - a twenty year driving pro - has raced in the Le Mans series and on NASCAR tracks. He's also done stunt driving in plenty of films, including the recent James Bond releases. The advice doled out might not get you any of those gigs, but it's sure to make you one of the best - and safest - drivers on the road." "This book should be a gift to teen drivers getting ready for their learner's permit. And it's an engaging read for anyone who wants to be a better driver - or as a gift from someone who thinks their someone could be a better driver." 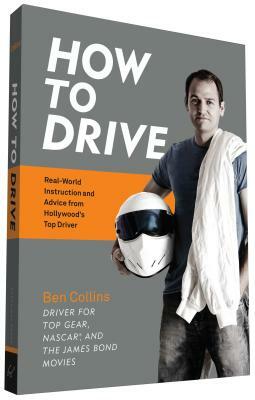 "Learn how to drive better and more safely not just in a sports car on a track, but in your daily driver with this excellent book from pro stunt and racecar driver Ben Collins, who has driven cars for the James Bond series, The Dark Knight Rises, and portrayed The Stig on Top Gear." "Driving is a skill, people, not a talent, so we could all do with some 'real-world instruction and advice from Hollywood's top driver'."